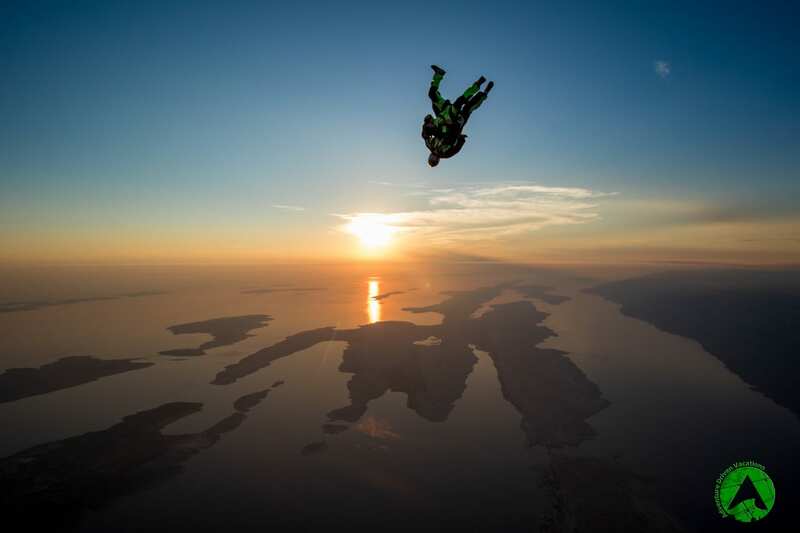 Sunset skydiving is considered to be the ‘’crème de la crème‘’ of all skydiving jumps. Probably the closest you will ever get to the fat old sun without a jet. To put it simple - SPECTACULAR! 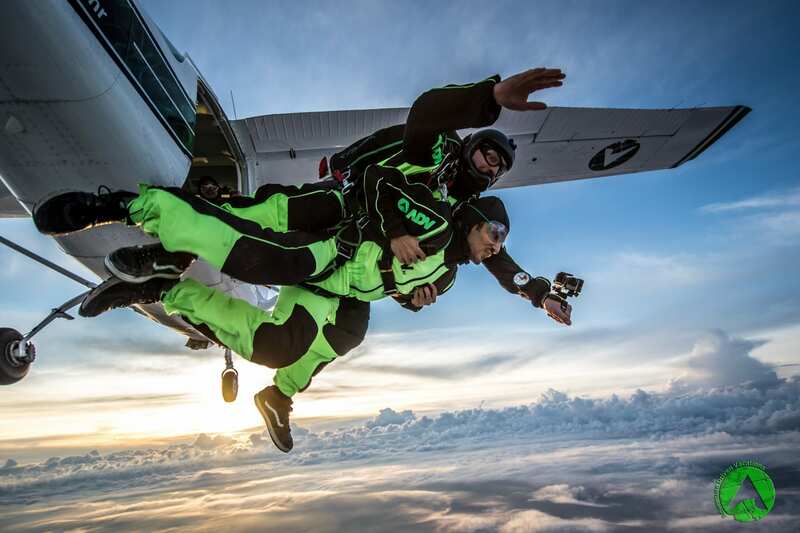 Experience the best from skydiving. 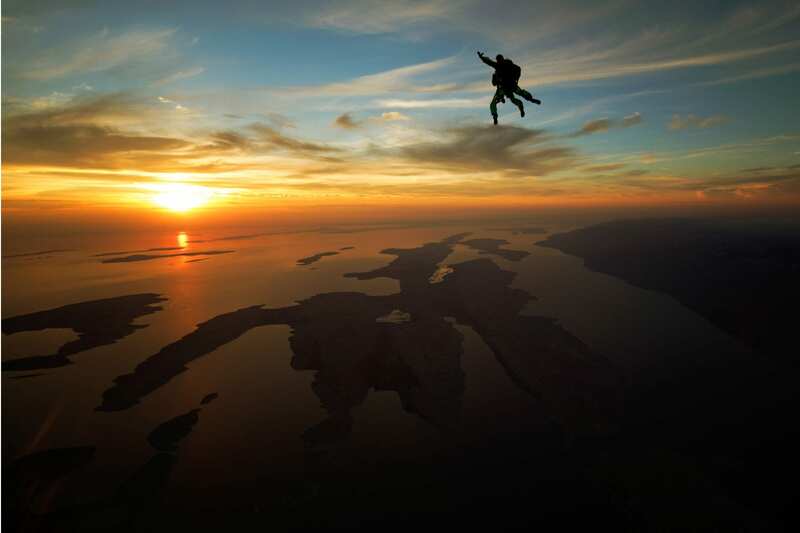 Book tandem jump in sunset above sea with the view on Croatian National parks, beautiful islands and big mountain Velebit. 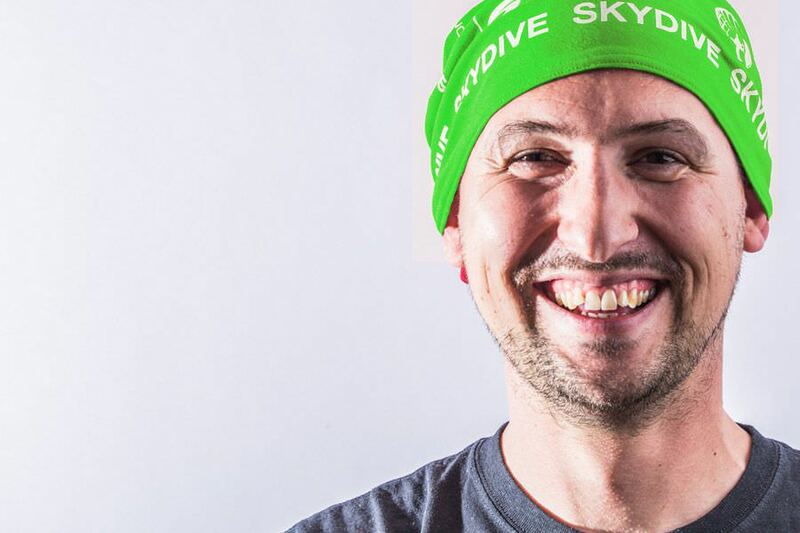 What to Expect from Sunset skydiving? 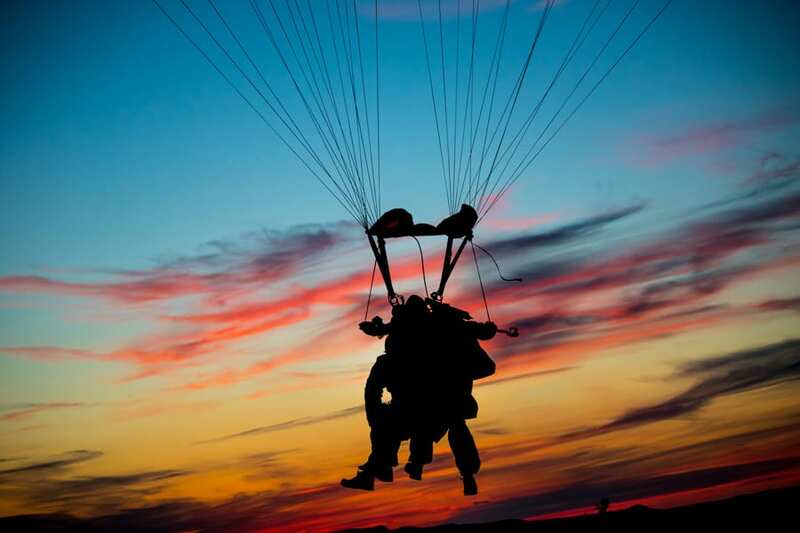 Landing on our drop zone, situated at a sandy beach, is just an extra plus that makes your sunset skydiving experience even more attractive. But, let's begin from the beginning. The whole thing starts at Zadar city airport. It takes us 15 to 20 minutes of ascending till we get to our jump altitude. During the flight, nature enter the game of it's own and we become just a spectators. As we ascent, the giant fireball seems to dive straight into the sea in a faraway distance, the sky turns completely orange and the universe finally shows the whole greatness of life. Humble enough, we like to call a Juice Time. At 10,000 feet we are ready for your tandem jump. Your tandem instructor is adequately experienced for you to relax. Attached safely to each other, all you have to do is follow his brief instructions . 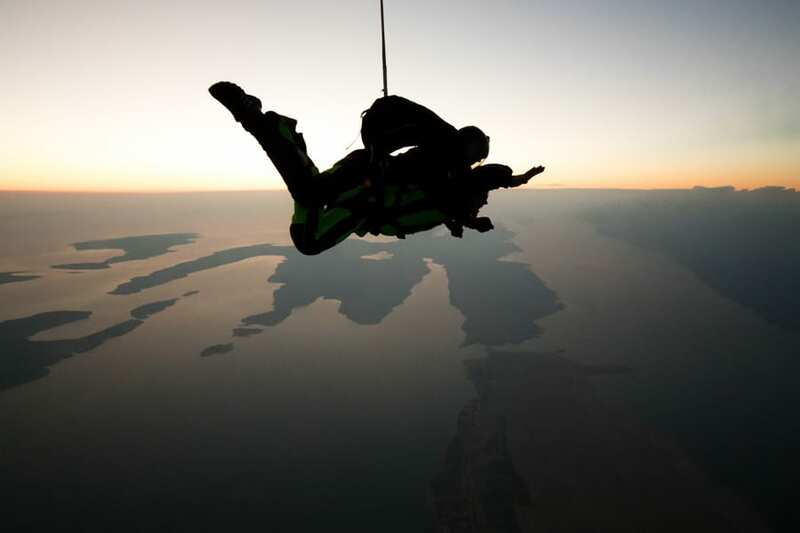 During the free-fall, lasting of up to 50 seconds, you will accelerate to over 200 km/h. At this speed you might feel an extreme adrenaline rush, but in a positive manner since all is happening in a controlled environment. Those are the fifty seconds whole your life fits in. Then comes a moment of relief - canopy opening. Free fall is followed with 6 to 8 minutes of a serenity floathing down under canopy till you safely land at ADV beach drop zone. 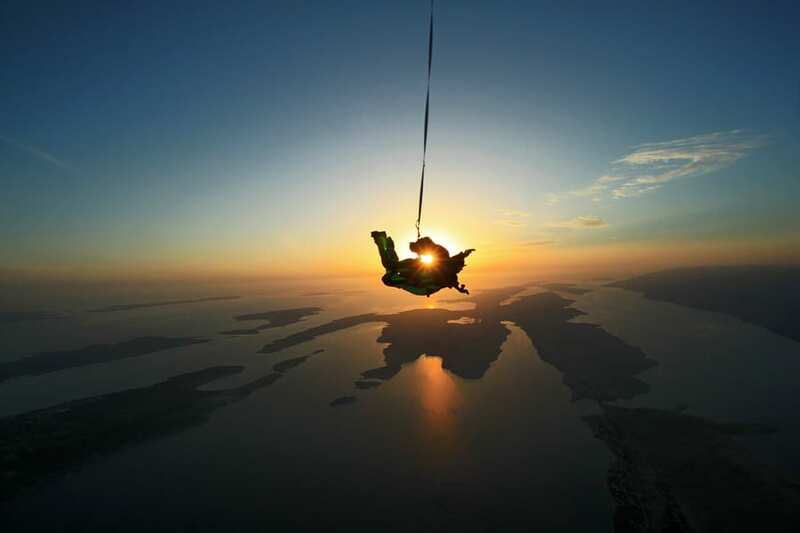 For your orientation - ADV drop zone is located on the way to island Pag and popular party-beach Zrce and just half an hour drive north of Zadar City. 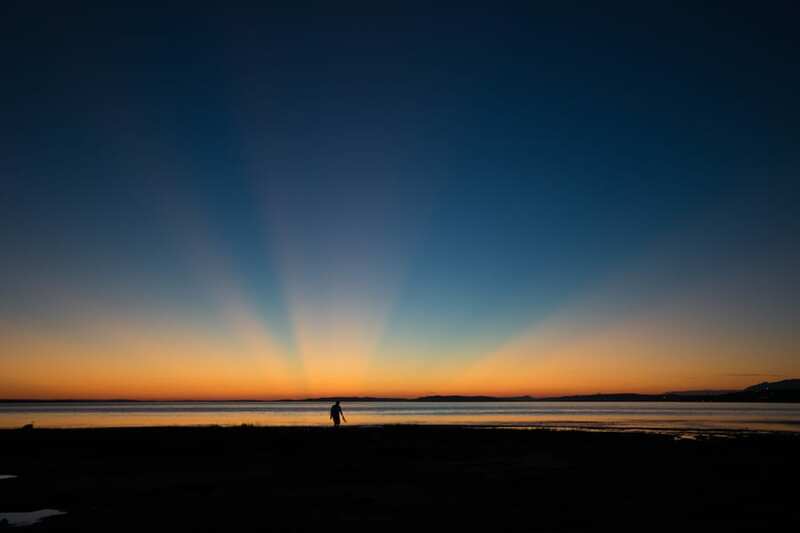 During his stay in the City of Zadar, the great Alfred Hitchcock was quoted as saying: “The sunset of Zadar is the world’s most beautiful and incomparably better than in Key West, Florida”’ so now you know that you’re in for a very special treat!